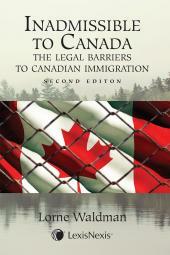 Designed to help practitioners understand immigration and refugee law legislation, Immigration Law and Practice, 2nd Edition explains how the Charter applies to immigration law, helps practitioners keep abreast of the evolution of this legislation and its future applications.. Complete - Immigration and Refugee Protection Act and pertinent Regulations are reproduced in full as are the relevant forms and precedents and applicable provisions of the Federal Court Act and NAFTA.  Immigration Law and Practice Netletter - an optional current awareness e-newsletter which supplements the looseleaf publication between hardcopy service issues. Lorne Waldman, LL.B., LL.M., C.M., of Waldman & Associates, has practised immigration and refugee law exclusively since 1979. Mr. Waldman has appeared before the Courts to argue many of the leading cases in immigration and refugee law. He has appeared before the Senate and the House of Commons as a witness on immigration issues and is a frequent speaker at C.B.A. and L.S.U.C. seminars. 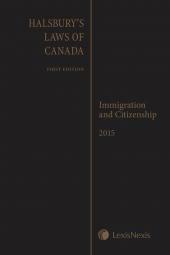 He is the Author of Immigration Law & Practice, 2nd Edition, which has been cited by both the Federal Courts and the Supreme Court of Canada, The Definition of Convention Refugee, 2nd Edition, Inadmissible to Canada – The Legal Barriers to Canadian Immigration, 2nd Edition, and Halsbury's Laws of Canada – Immigration and Citizenship (2015 Reissue), all published by LexisNexis Canada. Mr. Waldman was appointed as a Member of the Order of Canada in 2017 for his commitment to upholding justice through his work as an immigration and refugee lawyer.